The last few years the girls have watched these special friends while their folks go to the company Christmas dinner. This isn't the only time they stay with us throughout the year but it has become something our family looks forward to during the holiday season. As we were planning our calendar for December we had to call their Mama and find out what day they would be coming this year. Isn't it funny how a little bit of something becomes a tradition? The girls always like to do crafts. They really like to do crafts with the little ones. On babysitting night they made snowmen ornaments, from a Martha Stewart book, of course. Suzanna is just such a sweetie. She is such a perfectionist. It is darling to watch her focus so hard to make everything just right. And they made, and ate, sugar cookies. And then a viewing of the Muppets Christmas Carol. Everyone was sick, so the girls had no trouble getting everyone (even the four rambunctious boys) to go to sleep right on time. As I look at these pictures, I wonder if this gang of little friends will one day look back and remember it as fondly as the girls and I do? Most of all I am a Christian, wife and home school mom to nine. 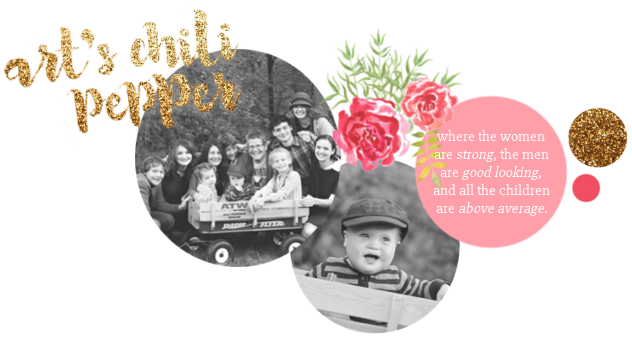 Here you will find snippets from my life, recipes, tips for child rearing, home schooling advice and moments from our journey with down syndrome. Ready Or Not Ellie's Four!